I'm not a shoe, makeup or handbag kinda girl. I like them, but I can do without them, however, the same cannot be said for changing bags. I adore them, and I'm probably a little obsessed with them. 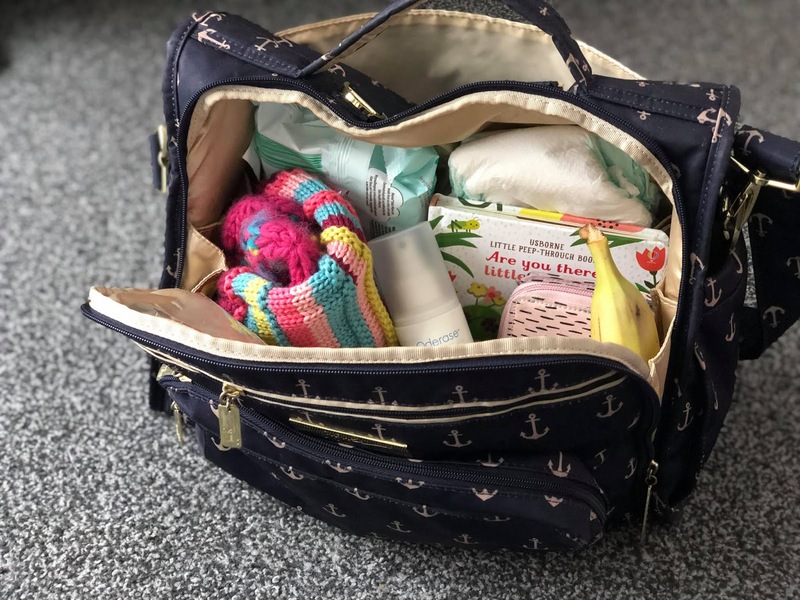 I've had so many different changing bags since becoming a mother five years ago, from lots of different brands, but my all time favourite is the B.F.F changing bag from Ju-Ju-Be, which I reviewed last year. It's functional and practical, whilst being stylish, and on trend too. With a love of changing bags comes a fondness for WIMCB blog posts (what's in my changing bag.) It's a guilty pleasure of mine, to have a look at what other people carry in their bags. On blog posts of course! I'm not peeking into peoples bags in real life! I've also written a couple over the years, at different stages of my children's lives because they are great to look back on, and I like to think that they may help out a fellow parent. Today I've decided to write an updated WIMCB post, featuring numerous items which I always carry in my changing bag. I thought I'd start with the miscellaneous items that I carry, some of which can be deemed essentials too I suppose, depending on various factors. Whatever the weather, or time of year, I make sure to pack suitable spare clothes and accessories. In winter it's all about hats, gloves, and spare layers and when it's summer time I'll pack suncream, sun hats, and spare vests. My kids are like bottomless pits so I always carry a couple of quick and easy snacks like fruit, crackers, and fruit or yogurt pouches. Last, but not least are the little bits and pieces that keep them entertained while we're out. 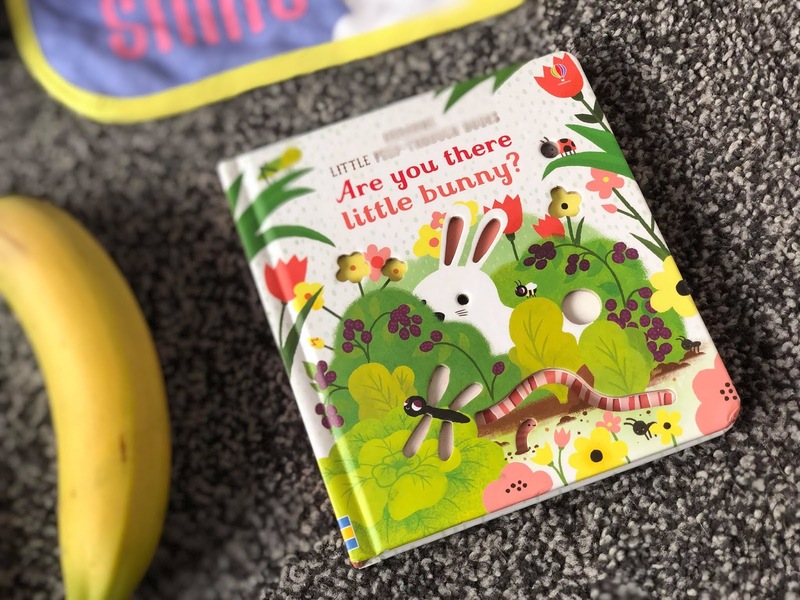 Board books, activity packs, and small soft toys are always a winner. Then there's the essential items that I carry in our changing bag, the items I wouldn't leave the house without. That would be nappies, wipes, bibs, my purse, my keys, my phone, and most recently Oderase. 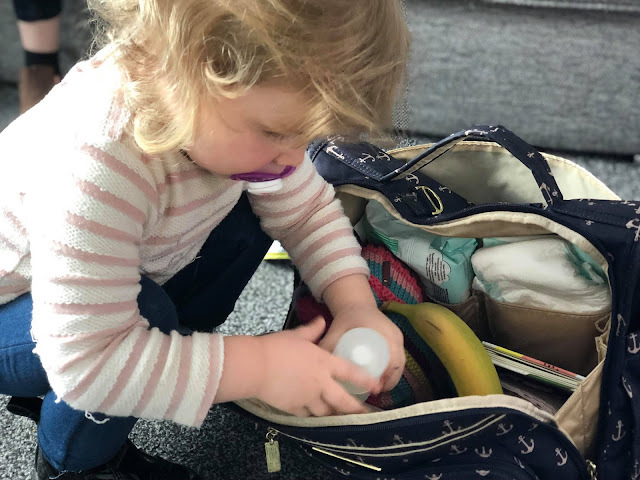 Oderase is an air freshener with a difference and perfect for packing in your changing bag. Rather than mask bad odours like regular air fresheners do, it eliminates them by attaching itself to the offensive odour particles and erasing them from the air. It comes in a handy pump spray bottle (yay, no aerosol - I wouldn't carry aerosol in my bag) and is non-toxic and fragrance-free. It's been approved by Allergy UK, Good Housekeeping Institute, and achieved Cradle to Cradle Certified™ SILVER. 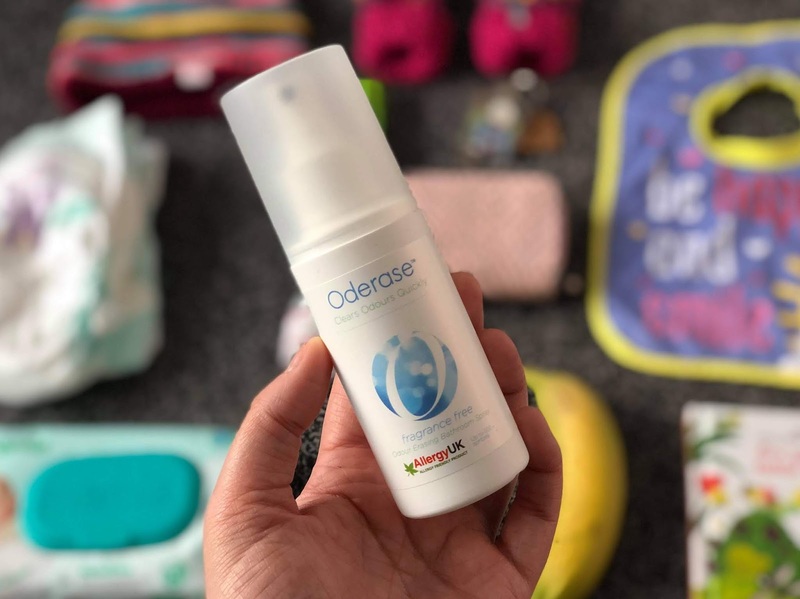 I've been using Oderase both at home and on the go for the past week and I'm really impressed with the results. It's ideal for using every day, at home but it's also been a godsend for using in public baby changing rooms. When entering them I tend to always have to breathe through my mouth to avoid the smell. Why do they always smell? Even first thing in the morning? I feel sorry for Ava because she's too young to suss out that trick yet. Thankfully, all I have to do is spray a little around to room, and voila! Odours, eliminated! Only available at Ocado, a 100ml bottle usually retails at £4.99, however, it's on offer at £3.99 until 19/02/2019. What items do you carry in your changing bag? Would you consider using Oderase? AD - We were sent a bottle Oderase for the purpose of this feature and received a fee to do so, however, all opinions are my own. How cool does your changing bag look and it seems like you are ready for any occasion with it as well! I would never have thought to pack an air freshener in my changing bag but I totally should - thats such a good idea! 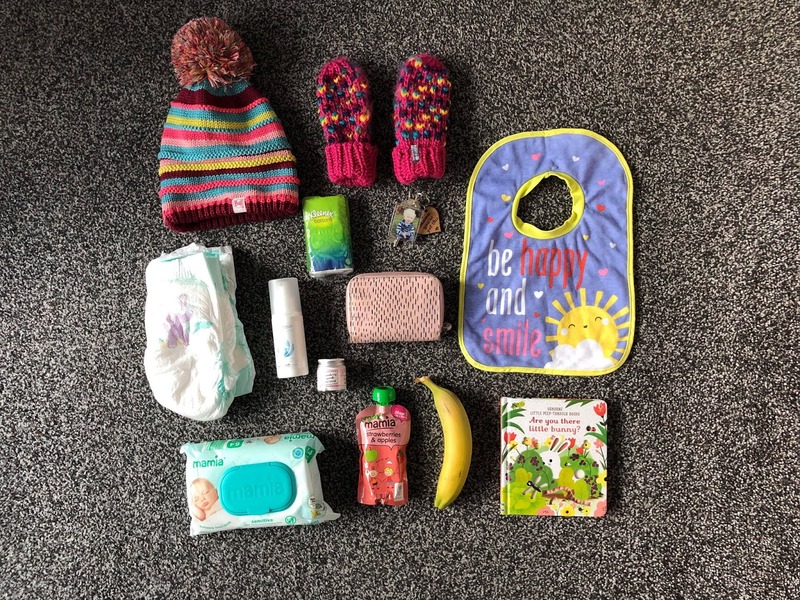 I remember the first couple of months when Mia came along and I had no idea what I would need and would literally pack everything, including multiple spare vests! You have everything covered with yours. Such a stylish bag! 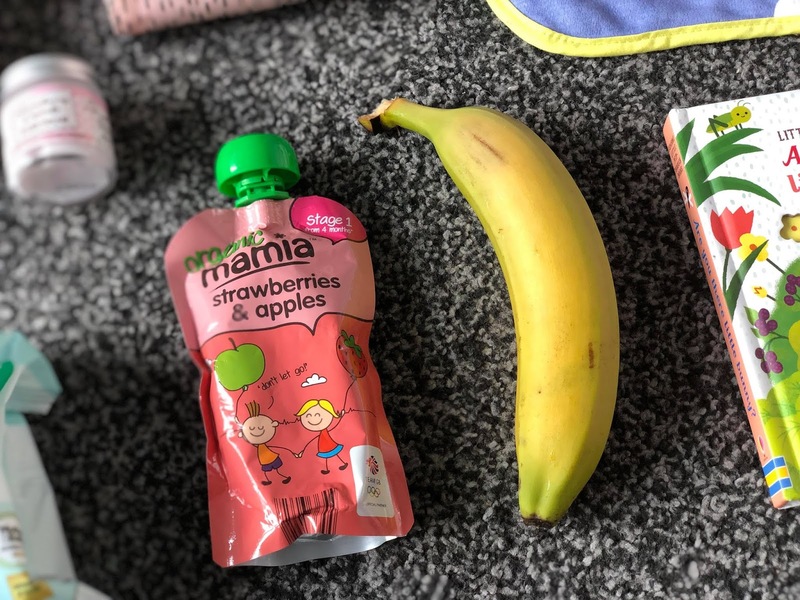 I always love the products sold by the brand Mamia at Aldi. They’re great quality and a great price too. I like the bib. "Be Happy and Smile! Looks like a great changing bag. 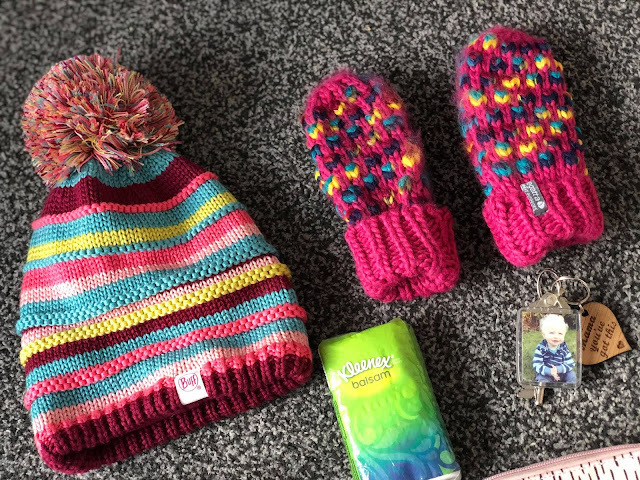 The hat and mitts are so nice, really colourful.